By the end of their time at Cumnor School we want children to be competent and enthusiastic users of the English language through speaking, listening, reading and writing. Lessons throughout the school will include elements of all these aspects with specific focus on developing skills in a particular area. Children are encouraged to develop their speaking and listening skills in a range of contexts across the curriculum through opportunities for paired, group and class discussion as well as exploration through storytelling and drama. Early reading, writing and phonics is taught in Reception using letters and sounds and Jolly phonics actions. Talk boost is used as an intervention to support those who need additional support. 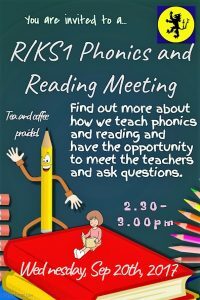 This work is built upon in year 1 where weekly spelling lists are introduced but synthetic phonics is still taught daily. A range of activities are used from schemes such as phonics play and letters and sounds. Interventions continue where appropriate. In Year 2, weekly spellings continue and the emphasis is much more on spelling and grammar rules than phonics. Direct phonics is used to consolidate phonic patterns for the few who still need it. 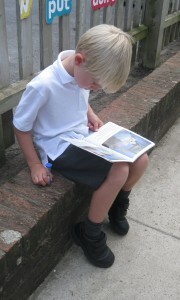 Throughout Reception, Years 1 and 2, the book bands scheme is used for individual and guided reading to foster independent reading alongside the phonics and spelling teaching. Throughout the school children are encouraged to become independent writers and to transfer skills acquired in speaking, listening and reading to their writing. Children will have many opportunities to explore writing for different purposes and audiences in a range of curriculum areas. Pupils are encouraged to present their work in a variety of media including use of ICT. Specific skills in writing, such as spelling, handwriting, punctuation and grammar, will be directly taught and applied through written work. Through our English curriculum we aim to give children effective lifelong communication skills.